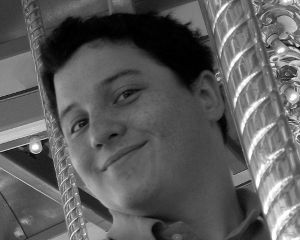 Typically, games at PAX fall into one of three categories: some aren't special enough to warrant more than a mention, some take a standard mechanic and execute it exceptionally well, and some invent a new way to think about or interact with virtual worlds. Mages of Mystralia falls into the latter group. On the surface, it looks like a regular ol' action-adventure. There are monsters to kill, hearts to collect, and magic spells to cast. But that last part is where things get interesting. Each spell is built from scratch on a triangular grid by linking component behaviors. It's simple at first, but with all the options available, it can get complex. 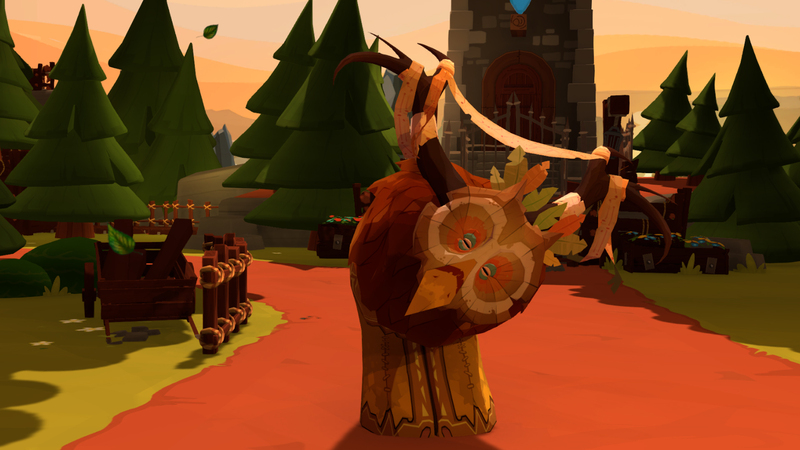 By the end of the PAX demo, I was spending as much time designing new spells as I was exploring the world. A basic spell can take on a few different forms and essences. The easiest form to conceptualize is the Orb, which produces a ball of fire, water, wind, or earth. But without any modification, that's it; you create the orb and it floats in place ineffectually for a few seconds. Attaching the move modifier turns it into a classic fireball (or waterball, or whateverball); it moves forward in a straight line until it hits a wall or an enemy. Going further, we can attach the left or a right modifier to the move command to give it a curve. This could be used in battle to hit an enemy from behind cover, or in environmental puzzles to hit a target past a peskily placed wall. But hang on, what if we reverse the order of the modifier runes? 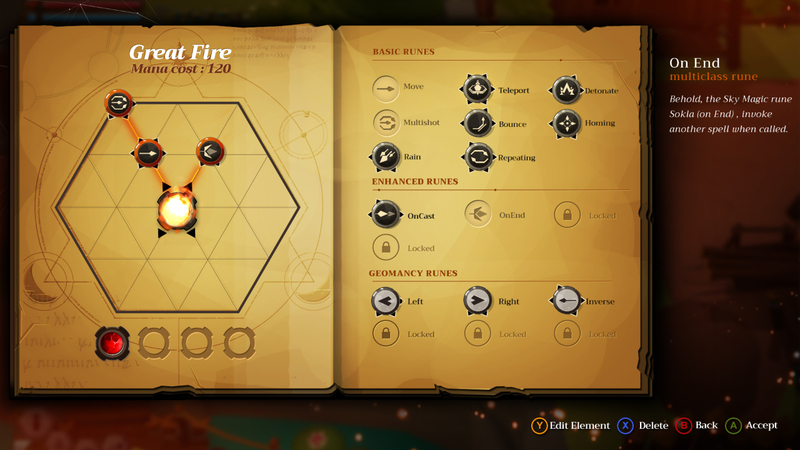 If we instead attach the right command to the base spell and then attach the move rune to that, the orb will appear, take an immediate 90 degree right, and travel straight in that direction. Movement isn't the only thing controlled by the add-on runes. There are additional behaviors like increased size, reduced mana usage, and splitting of the spell into multiple instances. There is a special class of runes that act like if-then statements. If this fireball hits a target, then make it bounce off and home in on a different target. If this spell is cast, immediately cast this other spell. Things really start to go deep with nesting secondary spells inside others. I designed one spell that was a regular fireball, but when it hit an enemy, it conjured an ice area of effect that froze the target in place. So it was standing there, unable to attack, still taking damage over time from the burning effect. I created another spell that attached a lightning effect to my melee attack, and then called down a rockslide from the air above where contact was made. With these together, I had a godly combo: fire at an enemy from afar, freeze it in place, then run up and give it a whack to rain down the pain while the poor monster can do nothing but take a bunch of rocks to the head (while aflame). I can imagine a fun exercise would be to just dump all the available runes semi-randomly on a spell grid, then cast it and see what happens. For me, the meticulous design of a piece of magic that achieves a specific purpose has even more potential for puzzles past the typical sliding blocks and lighting torches. The only limitation I had in the demo was in my mana, which kept me from building absurdly long chains of spells before it was drained and the magic fizzled. For the full game, there will also be a progression of sorts; not all of the runes will be available right from the get-go. The developers want to use this as an almost metroidvania mechanic: see an insurmountable obstacle, gain a new ability somewhere else, then come back and get past it. 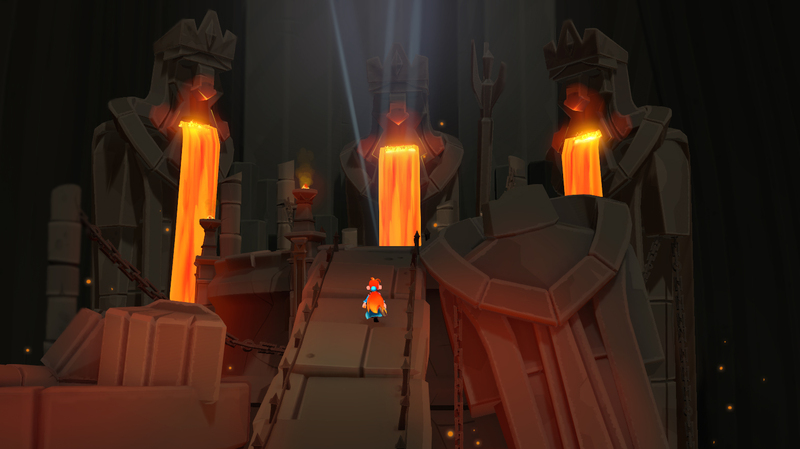 Without exaggeration, Mages of Mystralia was the most interesting game I saw at PAX. Normally magic in games is treated as an unexplained force, but here there's always a string of logic for why a spell behaves the way it does. Usually magic spells in games are premade and preset, and all we as players do is call upon that previous work. Here, I felt a greater sense of ownership because the spells I designed were unique to me. Through an interface more akin to computer programming than mystical incantation, I can create my own spells and it truly feels magical.